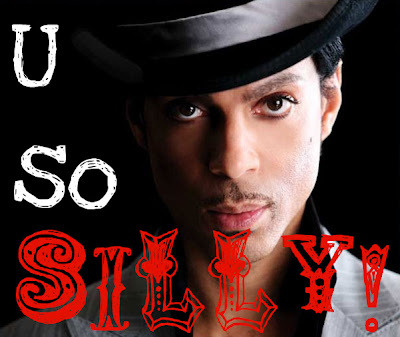 Prince is about to release a new album that won't be downloadable anywhere. Not iTunes. Not blogs [yet, anyway]. Not his website [he shut that down]. Not YouTube. Why? Well, he hates the Internet. He's one of those trying to make sure he earns every last penny his music makes. Also: He thinks the Internet is "over". Ohhh, silly Prince. Haven't you heard I'm about to make $100,000 a year to play on the Internet? Don't ya know that regardless of you releasing or allowing your music on the Internet, it'll end up there anyway? Have you ever heard of blogs? They find ways around everything. Also: The Internet is hardly "over." In fact, your sales will probably be down I would assume 50-75% because of this little belief and protest of yours. Soo... Good luck with that, dude. As for the MTV comment: RUDE. Maybe MTV is completely different than it used to be. Maybe the M doesn't stand for "music"... But it has The Jersey Shore, 16 and Pregnant, THE REAL WORLD... It's still pretty great for some people.... Just not the music peeps. Nice try, Prince. Nice try to convince us all that it's the end of the world.